If you are looking for some self defense ammo for your 9mm Luger firearm, you have come to the right place! 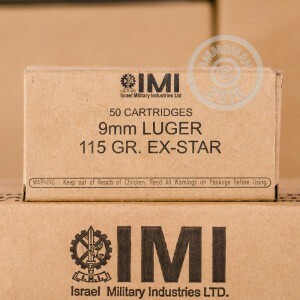 This ammunition is manufactured by Israel Military Industries, which is solely owned by the Israeli government. 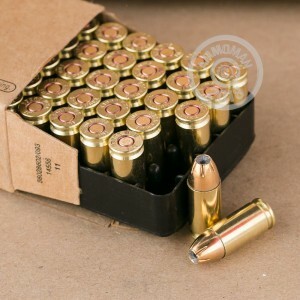 These rounds are military-grade ammo sure to provide you with the personal protection you need. It is always recommended you get plenty of practice using your weapon with the ammo you intend to use for self defense purposes. 1000 rounds will give you all the practice you want! 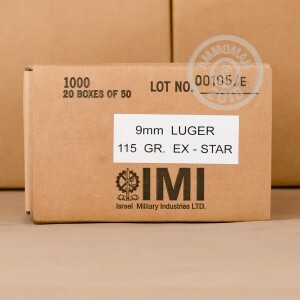 Each 9mm Luger round contains a 115 grain jacketed hollow point projectile with top military grade boxer primers. Rest assured this ammunition will not let you down if faced with a life-threatening situation. These rounds are brand new production and are reloadable. Save money by buying in bulk and take advantage of free shipping! Note: these rounds are loaded with harder than average primers, which may not operate in compact handguns.